Reading On Magnolia Lane made me so happy. So, so happy. It’s swoonworthy and sweet and everything I wanted for Daisy Pendleton and Pastor Jack McReady. Fans of Denise Hunter’s Blue Ridge Romance series will not be disappointed with this final book. Pastor Jack has harbored feelings for Daisy for years, but she has no idea. When she begins online dating, it’s time for Jack to show how good they could be together. Their story then develops with You’ve Got Mail-like charm, full of secrets, faith, and community, and is sure to bring a smile to any reader’s face. I wholly enjoyed On Magnolia Lane. It’s a delightful contemporary romance, and I highly recommend it to any fans of the genre. 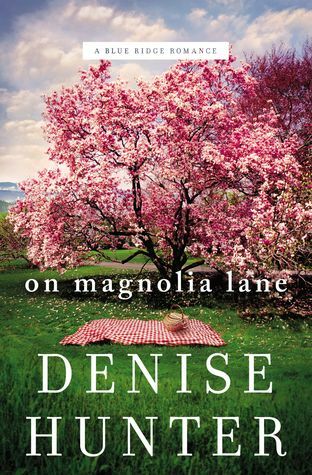 Thanks to TLC Book Tours, I received a complimentary copy of On Magnolia Lane and the opportunity to provide an honest review. I was not required to write a positive review, and all the opinions I have expressed are my own. Denise Hunter is the internationally published bestselling author of more than 30 novels, including The Convenient Groom and A December Bride, which have been made into Hallmark movies. 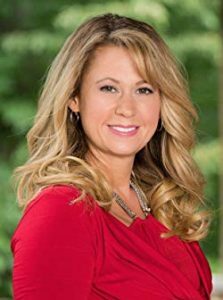 She has appeared on the The 700 Club and won awards such as the Holt Medallion Award, the Carol Award, the Reader’s Choice Award, the Foreword Book of the Year Award, and is a RITA finalist.